In a bizarre twist on the usual tale, a suicide bomb instructor has accidentally blown up himself and his class in a terrorist-training camp just north of Baghdad, Iraq. The instructor, who was apparently unaware that the belt he was using for a demonstration was packed with live explosives, killed himself and 21 other members of the Sunni terrorist group The Islamic State of Iraq and the Levant. Just last month, the Iraq government lost control of the town of Fallujah and parts of Ramadi to the same group. A New York Times reporter in Baghdad found that many locals saw the accident as the terrorist group getting their just deserts, and were pleased that The Islamic State of Iraq and the Levent is at the receiving end of what the country's civilians have long experienced. 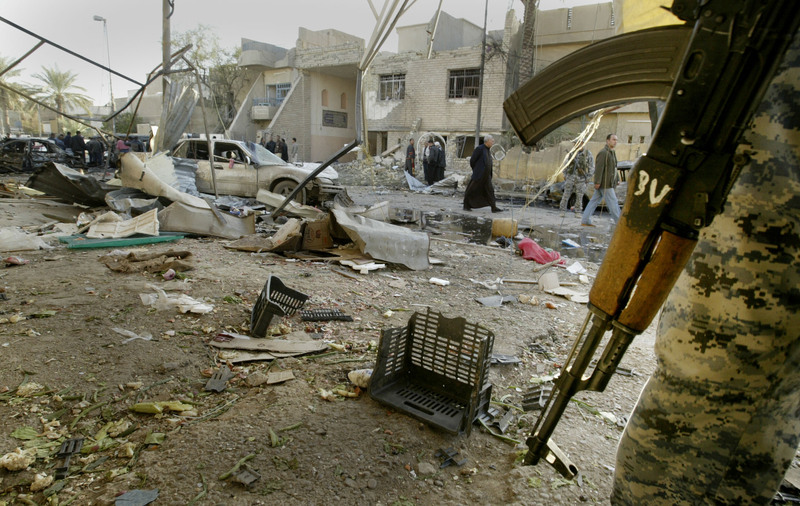 According to the United Nations, 2013 saw the highest level of violence in Iraq since 2008, with more than 8,800 Iraqis killed. Of those, 7,818 were civilians. Figures from British-based NGO Iraq Body Count estimate that 1,076 civilians were killed in the first month of 2014 alone, reinforcing suspicions that this year could be even more violent than the last. On February 3, Al-Qaeda formally cut all ties with the Islamic State of Iraq and the Levant, also known as the Islamic State of Iraq and Syria or ISIS. Much of the violence in northern Syria has been a result of infighting between the notoriously brutal and extreme ISIS and other rebel forces. The group, led by Abu Bakr Al Baghdadi, is seeking to create a Sunni Islamic state that would straddle the border between Iraq and Syria. After ISIS took control of Fallujah and Ramadi back in January, Secretary of State John Kerry said the U.S. would do what it could to help the government regain control, but stated categorically that the help provided would not include sending in American troops.